Levelstate EDLI is an advanced electronic water level monitoring system. 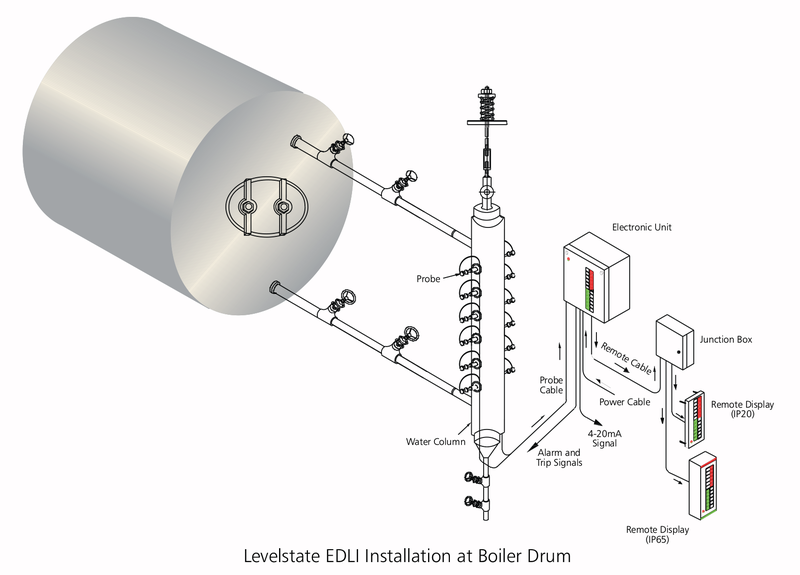 An EDLI system includes multiple Probes fitted to a Water Column and connected to an Electronic unit, which is widely accepted as a reliable & maintenance free equipment. Pressure parts available for applications upto 207 bar at 370°C as standard. Electronics available in various configurations and include Type 201, Type 202 and Type 202B. @ 2018 Levelstate Systems Ltd. All rights reserved.